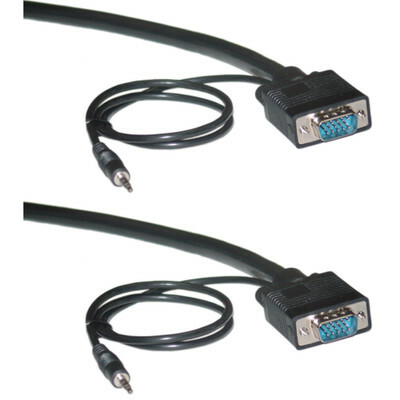 Our 3 foot black HD15 video cable with a 3.5mm Stereo Audio cable built in, more commonly referred to as a SVGA male to male cable with audio, is typically used to connect a computer to a computer monitor. Our SVGA video cables can handle the lowest resolutions used on computer monitors today all the way up to a maximum of 2048 x 1536. Plus this cable is double shielded to extend your video and audio signals without distortion or signal loss.